It's no secret that the way we shop has drastically changed in the last few years. Customers research businesses online like they're Googling a blind date. They need to know your business is trustworthy, and, more importantly, that you have locations nearby. No matter how prominent your business is, people won't spend hours scouring the Internet to find a location near them. They can afford to be picky because they're now able to find the best deals at the closest businesses with the highest star rating. All that information is at their fingertips and inside the phones they're glued to all day long. Because of these changes, we talk a lot about small businesses and their need to keep up in today's digital world. But, what about big brands with multiple locations across the country? Well, small businesses aren't the only ones who need a local digital marketing strategy to survive. You need one, too. That means people are looking for information online before they ever step into a store. They want to read reviews, see where your business is located, find out when the business is open and check out its social media profiles. So, before a customer visits your store, they’re searching online. If your locations fail to show up, someone else will show up, and they will get that business. We're not saying branding isn't important, but local marketing is where you can interact with, engage and entice local consumers. Localizing your business’s marketing strategy will make sure you can be found when consumers are looking for businesses like yours. It can also help build a dedicated audience of local consumers who want to interact with your brand. While it might seem daunting to localize your brand's marketing strategy without diluting your brand’s messaging, it’s possible to create a local marketing strategy while keeping locations brand-compliant. Here are six steps both franchisor/corporate and local owners can take to localize your brand's marketing. 1. Make sure there are clear-cut guidelines to follow and hold each location accountable. At the corporate level or as a franchisor, make sure you have brand guidelines and branding assets you can supply to locations. And, hold your locations accountable when it comes to brand compliance. Violation of brand guidelines will only hurt you in the long run since the best way to be memorable and build brand loyalty is to ensure a consistent brand image across platforms and locations. 2. Create regional buyer personas, and base your local marketing on helping with those personas’ pain points. Who is your local consumer? How can you help them solve those problems? Are there regional idioms, events, teams or landmarks you can use to personalize your local messaging? You can also take this a step further, creating local landing pages and give customers an idea of the inventory that’s in stock at their local store or of locally specific specials. Remember, the best way to make sure your marketing messaging resonates with your local target audience is to tell them all the great things that will happen to them if they use your product or service. And, personalize the message to them so that it's relevant to their needs. 3. Work on your local search marketing. Create, claim, and optimize local business pages on Google My Business, Yelp, Bing Local, Yahoo! Local and important local directories. 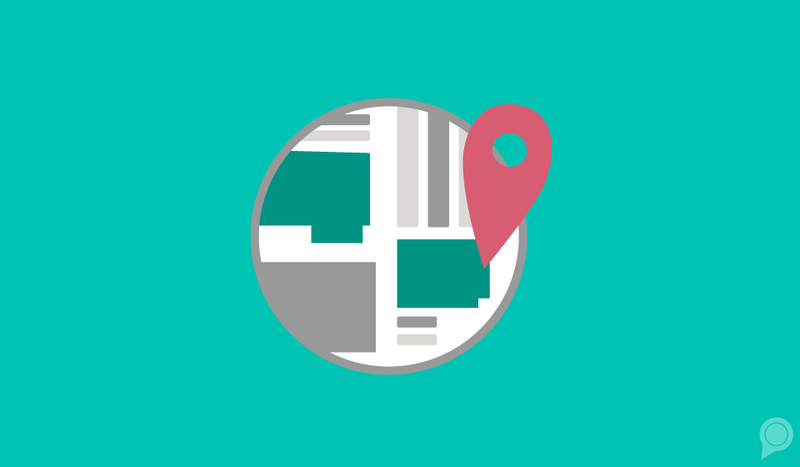 Make sure each location's NAP is consistent across directories, business pages, and social media. Inaccurate or incorrect information will cause confusion with searchers and possibly make your search ranking lower. 4. Consider a local social media strategy. Some businesses allow each location to manage their social media pages. That can be tricky, though. But, there's good news. Even if you don't want each location to post to its own Facebook page, there are steps you can take to optimize your brand's social media for local search marketing. 5. Build location pages on your website. Speaking of which, at the very least, you should add a page on your website where people can find your locations and get directions. Consider using a microsite for each location so that if a local consumer is Googling "gym near me," they find your gym, and the microsite shows up. Optimize your location pages and/or microsite for local search marketing by adding your business name, address and phone number. As a bonus, add a map or a "Get Directions" button to make it easy for people to get to your locations. 6. Get involved in local communities. This isn't a digital marketing tip, but if you want to be well-known in your community, you should get involved. For instance, Starbucks allows its stores to donate products to local raffles, set up a booth at a charity event, etc. The company is notorious for doing things like keeping a pottery business open and supporting local businesses. You don't need to go all out like Starbucks, though. Getting involved can be pretty easy. Do a quick Google search for local events and see where you can help out. This will get your name out there and make people want to buy from you if you've helped them out in the past. Whether you're a franchisor/corporate level employee or a local owner, there are plenty of steps you can take to put your location(s) on the map and bring in more local customers! Follow our steps and you're on the way to a better local digital strategy for your multi-location business.